Mall road for shopping. Shimla is the capital of the northern Indian state of Himachal Pradesh, in the Himalayan foothills. Himachal Pradesh, India. 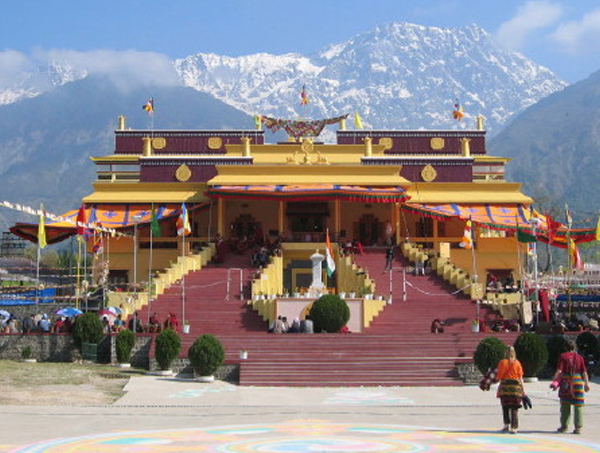 It is situated on 5 hills and has an elevation of 2,400 meters above sea level. Mode of Travel:Delhi to Delhi by AC Private Coach. Type of Accommodation: Standard / Deluxe / Luxury / Premium as per your requirement. in (1830), Christ Church built in (1844). devi temple. In late evening Arrive and check into the hotel. Evening free at Leisure. allowed to do the Rohtang Pass & Guest Have to Take Car from union on Direct Payment Basis. repute as “The Little Lhasa in India”. Bhagsunath temple and Dal Lake. Reach Dalhousie in the evening. Khajjiar. Drive from Dalhousie to Khajjiar is awesome due to thick Deodar forest. board Flight/ Train back to home with sweet memories. Air bookings & Air Faire are subject to availability at the time of booking. Train reservations are subject to availability at the time of bookings. You may visit www.indianrail.gov.in for railway seat availability & fare. Land package cost will be depending on type of hotel & Transport on Ex-destination basis only. Pick up – Drop & Sightseeing by AC Coach. Accommodation on twin sharing basis as per tour itinerary. Meals as mentioned in the itinerary. (Breakfast & Dinner). Sightseeing as per the itinerary including all Expenses like Toll, Driver Bhatta, Parking, Permit, etc. Government Service Tax 3.625% on Total Billing Amount. Any type of Entry Fees, adventure sports, Cultural shows, Boating, Pony Ride, etc. Any type of Private orders of Tea, Breakfast, Meals, etc. Any type of Insurance Coverage. & Medical expenses. Room Service charges, if any. Any Increase in the Airfare / Hotel Tariff Charges. Any kind of Pick up & Drop from Home to Airport & vice versa. Any Increase in the fuel or any kind of taxes levied by the respective government or statutory bodies. Cost incidental to any change in the itinerary/stay on account of flight/train cancellation due to bad weather, ill health, and roadblocks or any factors beyond our control. Cost of any Deviation from the route of tour due to unavoidable Circumstances. Coolie charges, laundry, wines & alcoholic beverages, mineral water (unless specified), telephone charges, shopping, all items of personal nature and also food and drinks not forming the part of the Itinerary. No refund shall be payable for any unused portion of the tour due to whatsoever reason. Any Up gradation in the room category, Transportation or air line class. Any other charges which are not specifically mentioned in “Includes”. Hair Oil, Cold Cream, Lip guard, Comb, Sun cream Lotion. Comfortable clothing for Entire Journey Period. Shawl, Balaklava (Kantopi), Thermal / Sweater. Sports Shoes, Extra Socks Floaters for Journey. A small Bag to keep necessary things while Sightseeing. Original Id Proof, Air / Train Tickets with spare set of Xerox. Enough & Change Money for Shopping.